The residence NEW G is the work of an association of renowned architects. Its innovative concept promotes both energy reduction in an eco-responsible approach, while caring for the residents’ individual well-being. 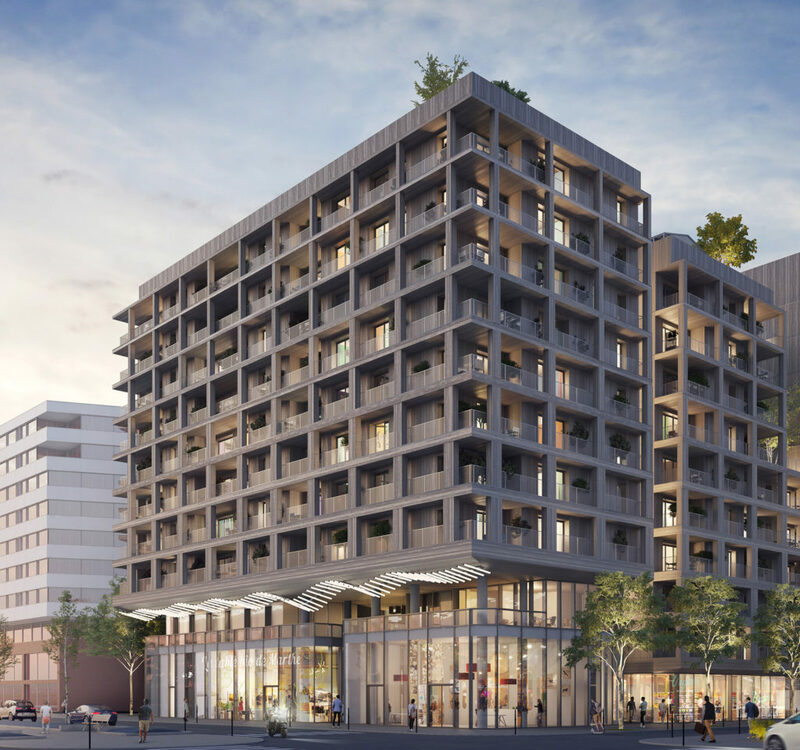 Designed as an ecosystem, the residence offers modular and personalized apartments as well as common spaces to share and promote living together; gym, library, summer kitchen, outdoor cinema playgrounds. Its revolutionary structure and facade, combining concrete with wood and low carbon, offer all the thermal comfort. A magnificent green facade complements the clean design of the building. Ideal for living or investing, the New G apartments have extended balconies, terraces or loggias and have the advantage of being for the most them, with double facing. Some exceptional duplexes (4 and 5 rooms) offer double height spaces, mezzanines and superb dining rooms adjoining the living room. 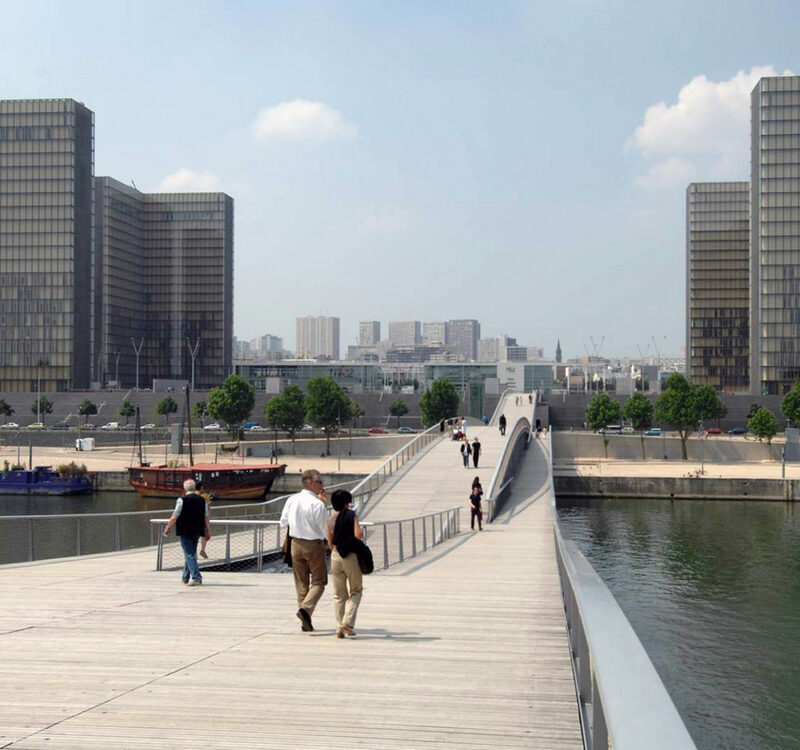 Cosmopolitan, young and vibrant, the 13th district of Paris displays the richness of its contrasts; Buttes aux Cailles and Frigos alongside the redeveloped banks of the Seine or the famous BnF in a mix of very harmonious genres. A place to live in, the district welcomes shops and services of all kinds: mall Italy 2, but also the Station F (Start-up mecca), the cinema Mk2, the guinguette EP7 or the City of design. Not to mention the schools, from kindergarten to major universities Sorbonne I and VI, all you need to live and enjoy Paris. The district offers easy access to the various modes of transport: Vélib ‘stations, T3b tramway, RER C and tube line 14, which will link to Paris-Orly airport as part of Greater Paris. 400m from the residence, you can link to the A4 and A86 motorways.